Our 50th Anniversary Celebration - Northern Kentucky Officials Assoc. 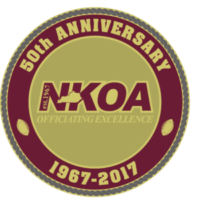 The Northern Kentucky Officials Association (NKOA) formally invites all current members and alumni to this 50th Anniversary celebration of Officiating Excellence. Our evening will consist of dinner (including soft drinks and beer), video presentation, guest speakers, and an awards presentation. All attendees are welcome to bring one guest. *RSVP required* Please RSVP by October 20th.